Back at the legendary Algonquin Oak Room in NYC in September 2011! On Sunday, September 25th, Howard Fishman reunites with members of his original quartet to celebrate the release of the upcoming album "THE HOWARD FISHMAN QUARTET VOL.III: MOON COUNTRY," a collection of songs composed by the late, great American songwriter Hoagy Carmichael ("Stardust," "Georgia," "The Nearness of You," "Skylark"). A limited number of seats are available for this special, one evening-only event. Tickets are available by only by phone (212 419 9331) or email bmcgurn@algonquinhotel.com The concert begins at 7:30pm on 9/25/11; the cover charge is $50 per person plus either a $25 food and beverage minimum or a $50 prix fixe dinner. The Howard Fishman Quartet made its formal debut at the Algonquin in 1999, beginning with a two-week stand that turned into a nine-month residency. Writing for the New York Times, Stephen Holden wrote that "the band recombines familiar ingredients to form its own brand of classicism [that] transcends time and idiom." HFQ Vol. 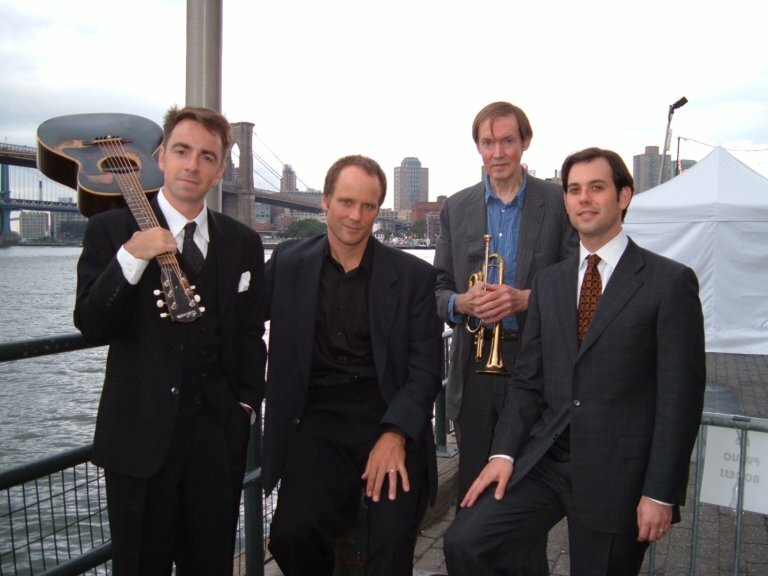 III, Howard's tenth album, reunited him with members of the original HOWARD FISHMAN QUARTET including (pictured, left to right: Andrew Hall, Peter Ecklund and Russell Farhang). All four will be on hand for the Algonquin show on 9/25. Get your tickets now!